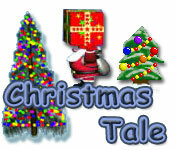 Christmas Tale is rated 4.0 out of 5 by 4. Rated 5 out of 5 by allcats from Makes you think! This games uses the arrow keys to move around, but that isn't a deterent because the moves are simple. Where to move is not. 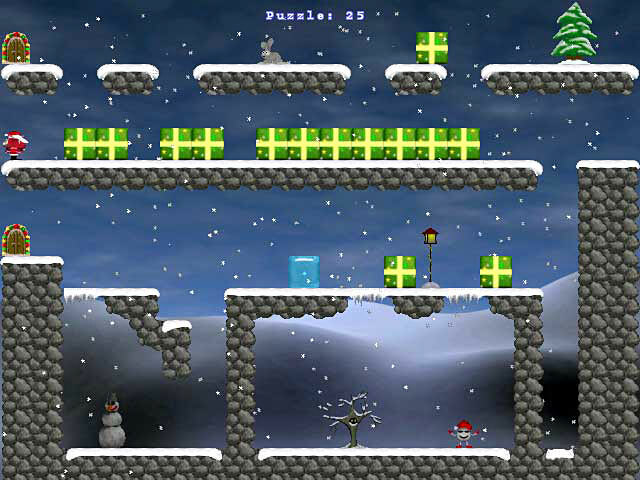 Each puzzle (there are 30) requires the player to get Santa to a Christmas tree by carrying, moving, locating, and/or stacking gift boxes OR sliding ice blocks. It really is a clever, little game requiring patience. However, if you get too frustrated, you can always look at the solution. If you like brain teaser type puzzles, you'll like this game. Rated 5 out of 5 by Cherry_Tree from Much more challenging than it looks! When I first launched this game, I thought cute but boring. But it only took a couple of puzzles before I rethought that. This is much more challenging than it first appears. Kept me interested through the entire trial period. Will surely buy this before next Christmas. Rated 5 out of 5 by rainbowspromise2 from Santa needs help. 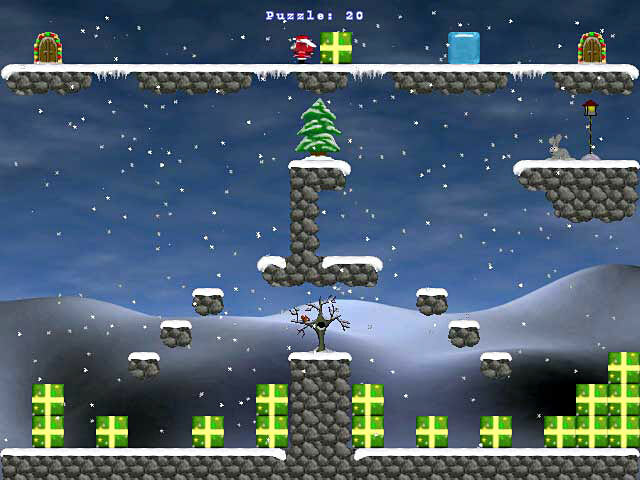 Can you get him over the traps and solve the puzzles to get to all the Christmas trees? 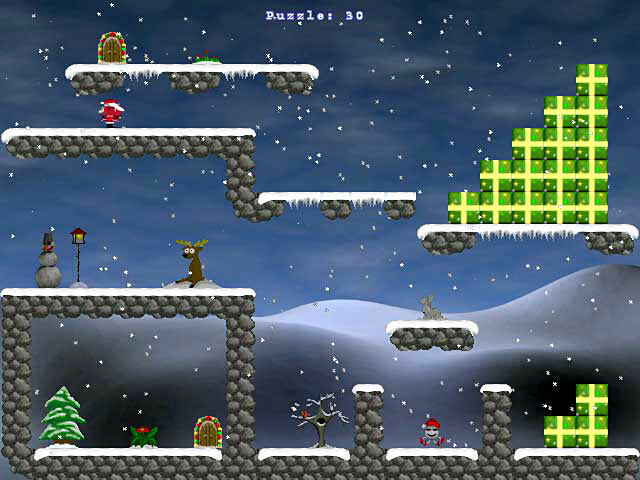 Santa has to move blocks of ice, avoid traps and create stairs out of gifts to reach the doors and trees. Old fashion scroll type play. Lots of fun trying to figure Santas' route to safely get there, work as a group to solve it or by yourself. Rated 1 out of 5 by boomertie from No Good The game was extremely sluggish.